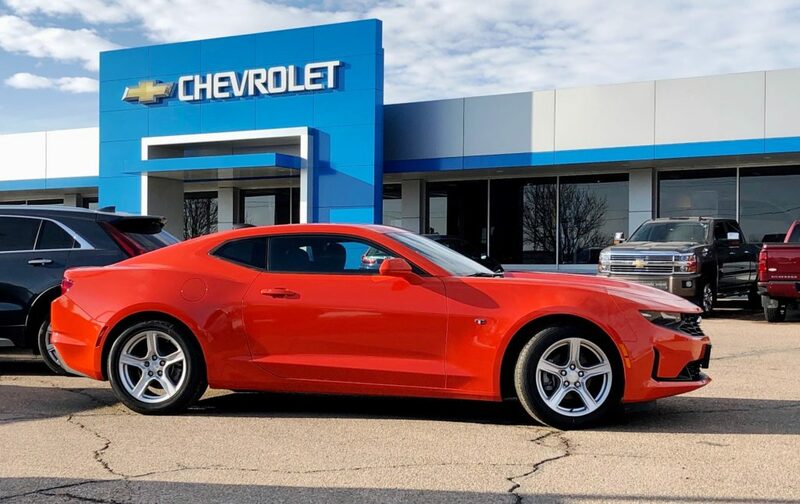 This 2019 Chevy Camaro will be raffled away as part of this year’s Garden City Community College Endowment Association scholarship auction. The event is scheduled for 6:30 p.m. Friday, April 12, at the Finney County Exhibition Building. Admission wristbands are on sale now for $25 and must be purchased in advance. GARDEN CITY — Get your wristbands and bring your money to bid on some fantastic prizes — the 41st annual Garden City Community College Endowment Association’s scholarship auction is fast approaching. The auction, an annual spring tradition that raises money for GCCC scholarships, is scheduled for 6:30 p.m. Friday, April 12, in the Finney County Exhibition Building. Doors open at 6 p.m.
And no one is more excited for this time of year than Jeremy Gigot, Endowment Association Executive Director. Wristbands must be purchased to enter the event and are $25 each, which provides the wearer with snacks and unlimited beverages during the evening. For an additional $10, patrons can enjoy a meal sponsored by Seaboard Farms, Great Western Dining and Buster Red Meats. Two options are available: a catfish dinner with two sides and s ‘mores brownie; or two pulled pork sliders, two large pork ribs, two sides and the brownie. “Either meal, for $10, you will be stuffed. No one goes away hungry. I’m a big believer in that,” Gigot said. The annual Endowment Scholarship Auction is a benefit for GCCC academic and technical scholarships. “Our goal, as always, is to raise $150,000 to support the students of Garden City Community College,” Gigot said. Founded in late 1966, the Endowment Association is in its 52nd year. It provides all the academic and technical scholarships at GCCC, awarding and administering roughly $500,000 in scholarships each year. In addition, the Endowment Association undertakes much of the private grant writing for the college, and also, through a partnership with a local foundation, awards between $110,000 and $120,000 per year in equipment and materials grants. Gigot said one of his goals is to double that number in the next few years. The materials and equipment grants provide funding to update the things classrooms and laboratories need in both the technical and academic programs. For example, Gigot said, they assist with the Finnup Music Lab, funded by the Finnup Foundation; provided updated equipment for the physics and chemistry labs; and over the years has funded 3D printers, nursing simulators, and EMS/EMT simulators. The scholarship auction will include some “really neat” items for both the live and silent auctions, according to Gigot. Everything from big ticket vacation and concert packages to some Easter baskets for boys and girls. “Someone will have a chance to win a pretty good chunk of cash,” Gigot said. Wristbands are only available in advance at the following locations: GCCC Endowment Office, 801 Campus Drive; Kinney Glass, 415 N. EighthSt. ; Lewis Chevrolet Cadillac of Garden City, 1903 E. U.S. Highway 50 Business; Skeeter’s Body Shop, 3104 W. Jones Ave.; and Wharton’s for Every Bloomin’ Thing, 906 N. 10th St.
Wristbands will not be sold at the door. They must be purchased in advance. No one under age 21 will be allowed to enter the event. Gigot said the auction catalog will be available to view online during the week leading up to the auction at the Endowment Association website: www.gcccendowment.com. Physical catalogs will be available at the event. Also, starting the week of April 1, various live auction items will be featured and highlighted on the Endowment Association’s Facebook page. Gigot said the scholarship auction is an exciting event that both entertains and provides needed money for a great cause. He added that it is one of the largest charity events in southwest Kansas and is the largest community college event, one that other community colleges across the state envy.